I want to first say that I am not a "climate change" denier. Far from it. I believe that climate change is real, it is caused by humans, and it is a big problem in today's society. The question how I would go about asking is: "How do we resolve the problem?" Often when a regulation is put into practice suddenly, it causes a lot of negative externalities that are otherwise not intended. For example if a farmer cannot afford gas because of a sudden tax hike on CO2 emissions, which offsets the cost out to the consumer, causes the farmer to perform less work or to be unable to do their job effectively enough. This would over some time cause a shortage of food. The argument of "destroy a few lives to save billions of lives" (Trolley Dilemma) is fundamentally a morally detestable ideology. After speaking with many Democrats, many spoke in favor of radical notions like: "If we save the environment and kill a million people, well then it is worth it for the good of the future." This is the exact same ideology that would justify the deaths of millions for the "good of society" as seen in multiple points of history that involves dictators. Because of this, the only possible desired outcome is to avoid deaths at all costs, no matter what. That the death of people is not an option. That you must find another solution to the problem. To pick the death of one to save five is morally detestable. A blanket regulation may work for some companies, but may negatively effect or make environments even worse because not all companies that emit CO2 emissions are the same. (IE a coal plant that uses special filters in their chimneys to gain an additional byproduct to sell and save the environment at the same time. This is different from the coal company that doesn't employ these technologies, but if a tax were implemented, both of these companies would be punished equally under blanket regulations) Instances of situations becoming worse are noted with the inclusion of ethanol to all gas companies, required a 10% usage of ethanol for all gas. While more renewable, cause much worse CO2 emissions and negative environmental outcomes than regular gas. In my opinion, these laws to prevent CO2 emissions are not unfounded. CO2 emissions cause not only damage to private property through the air, but also causes damage to people's personal well-being. It destroys the lungs and other parts of the body due to pollution. Because of this, the company that would aggress on the people with bad business practices must be dealt with on a local basis. The local factory that aggresses on the town must be taken to justice via a class-action lawsuit. The remedy against air pollution is therefore crystal clear, and it has nothing to do with multibillion-dollar palliative government programs at the expense of the taxpayers which do not even meet the real issue. The remedy is simply for the courts to return to their function of defending person and property rights against invasion, and therefore to enjoin anyone from injecting pollutants into the air. But what of the pro-pollution defenders of industrial progress? And what of the increased costs that would have to be borne by the consumer? And what of our present polluting technology? The argument that such an injunctive prohibition against pollution would add to the costs of industrial production is as reprehensible as the pre-Civil War argument that the abolition of slavery would add to the costs of growing cotton, and that therefore abolition, however morally correct, was "impractical." For this means that the polluters are able to impose all of the high costs of pollution upon those whose lungs and property rights they have been allowed to invade with impunity. The overall premise of course is that, blanket laws are not a solution to the CO2 emissions problem, nor is it the solution to resolving the problem. In fact, in a lot of cases it often exacerbates the issue. That at the end of the day, it is not government that will solve the CO2 problem. In the end, it is something that can be solved by private corporations. Here are instances of private corporations contributing to solving the environmental problems. Sustainability efforts for private businesses, theory of "triple-bottom line" to account for waste that is produced by a private company. No government regulation was placed to make this a reality, but is a challenge for companies to become more marketable. Some companies have already adopted the "triple-bottom line" strategy. Technology helps bring about better climate changes than government. While government seeks to subsidize solar panels, private companies have been pushing for this for a long time. It has been very often that taxes get incurred (by the state, not federal), however, to people who decide to hook up their home to being a solar home on their roofs. Additional emerging technologies such as CRISPR running genetic modifications on plants and species could technically begin the steps to creating plants that destroy CO2 emissions a lot more efficiently. At least with the concept of class-action lawsuits, local communities can tailor the regulation on companies that doesn't necessarily aggress against the actions of an unrelated company. No lives need to disappear or to be destroyed to make reasonable laws and establishing the function of the courts. That the purpose of the courts is to prevent those who would aggress against another person. I do apologize if you disagree. I just believe that people should be free to do what they will, provided that they are not hurting people in the name of their free will. 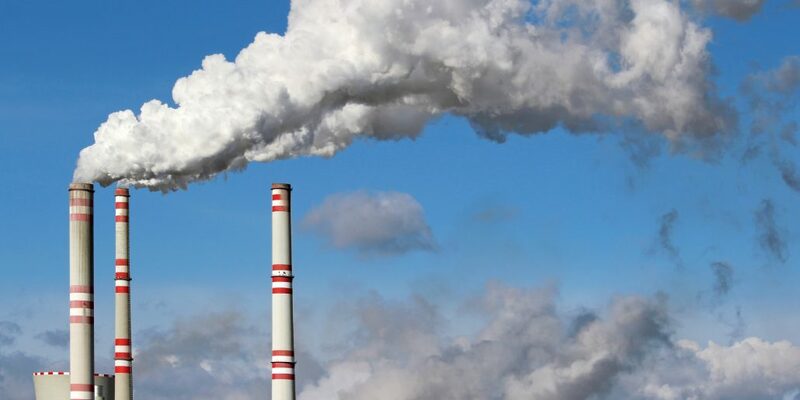 A private company that pollutes is aggressing, but to create blanket laws against other companies that don't necessarily relate to the law is also a regressive tax. Of which we already have too much of.